I finished my first knitted afghan! Happy day! I omitted one knitted block because there was no room for it. The blue rectangle sort of complicated the layout but I was determined to make it a part of the afghan. Luckily, I had two blocks (crochet) that fit after some fudging. 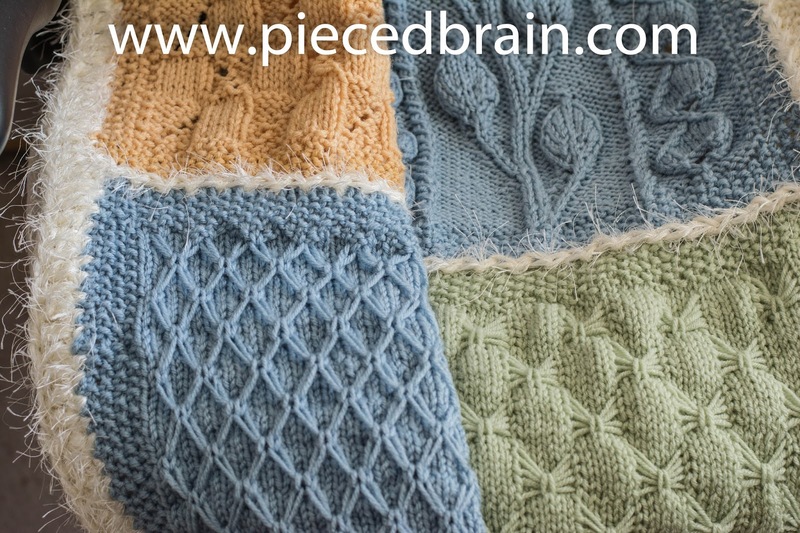 Many years ago I bought yarn to crochet these blocks and make an afghan. However, the blocks were soooo time consuming! 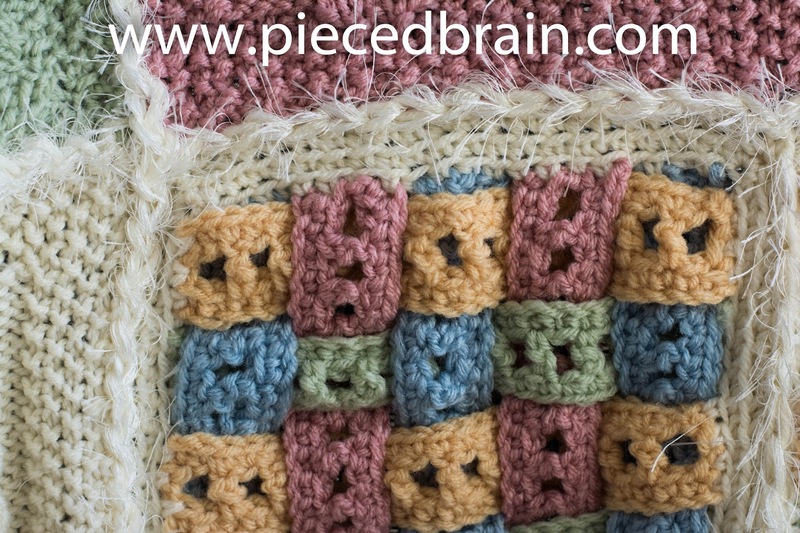 First you crochet a strip from each color, than you weave the strips, pin them and crochet the border. I only made three blocks before I gave up... When it was time to learn to knit afghan blocks I pulled out all the old yarn. Instead of knitting blocks and rows together, I wanted to crochet them. 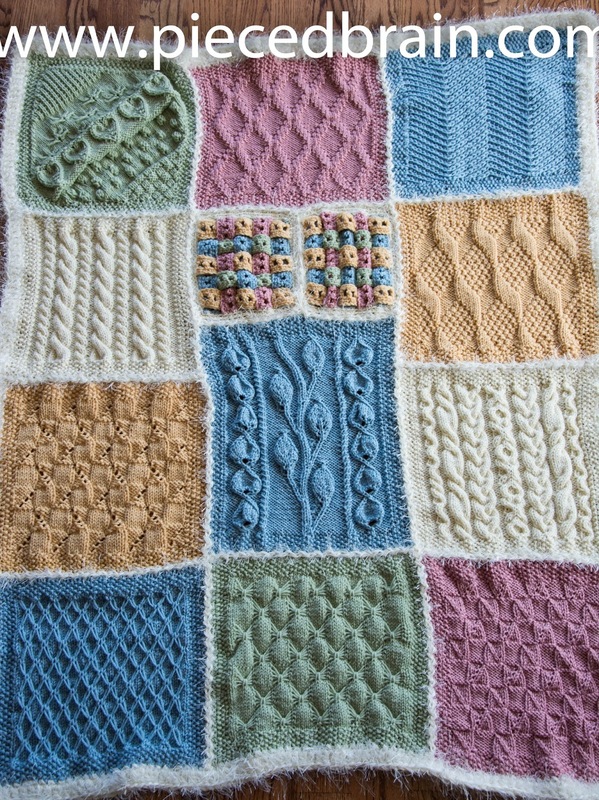 I found a tutorial on YouTube on how to join the blocks so they lay flat and do not have a ridge around them as most granny square afghans do. 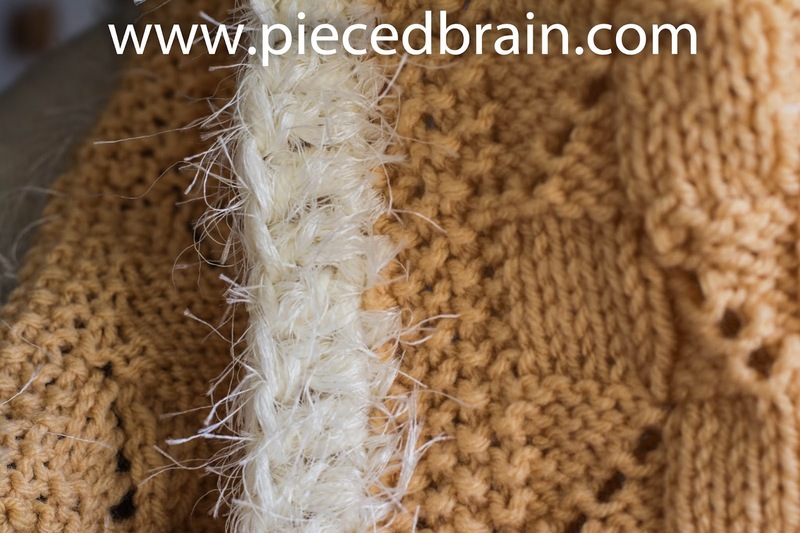 If you notice on the picture above, the stitches form a zigzag - I love it!!! 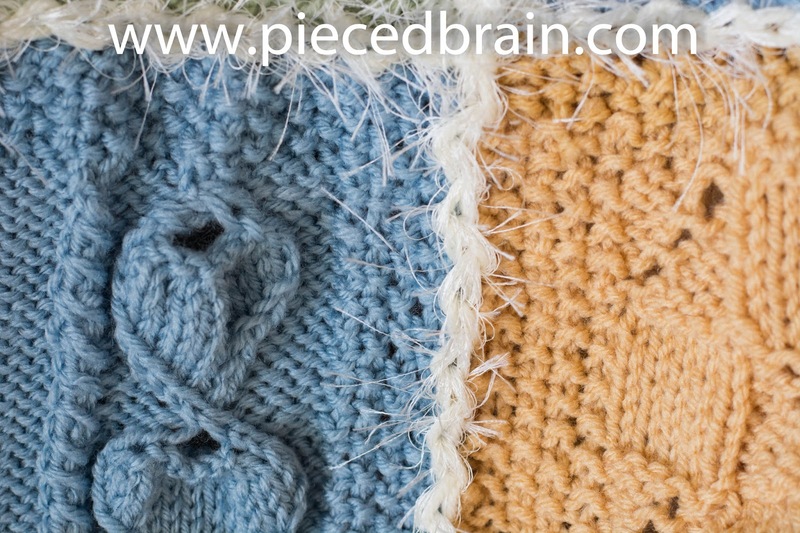 Once I joined the blocks, then the rows as we do in quilting, I did a row of single crochet around the project, then one row of double crochet. I used a large crochet hook (US size 11, 8 mm), my regular yarn plus Cello Sensations for its fuzzyness. Blankets usually have a satin binding, so I wanted this one to have a soft edge, too. The afghan we were learning had 24 blocks. Mine will be turned into at least two. This one will be a gift to my niece Amanda who just got into college. The weather is cooling down for Winter in Brazil, so the afghan will come at a perfect time as there is no heating in residences or anywhere over there. The next one will be for her sister, Soraia, and I will start it as soon as I have a chance to return to knitting class, probably sometime in August. In the meantime, what have you been up to? Beautiful blanket Denise. I'll go check out that uTube tutorial, thanks. hi love your blanket, and was interested in your post on knitted socks, I have just finished my second pair of socks, though my big love is quilting.